It’s an exciting day for a teenager when they’re finally old enough to learn how to drive. Learning how to drive means freedom, and a chance to impress friends. Once they have their license, they can buy a car. When you’re going to teach teens to drive, you want to make sure that they learn the proper techniques of the road. You want them to learn to drive safely and responsibly, and not learn any bad habits along the way. You need a parent guide on how to teach teens to drive. Express Driving School offers driver’s education and driver’s training, so new drivers can learn how to drive, quickly and responsibly. 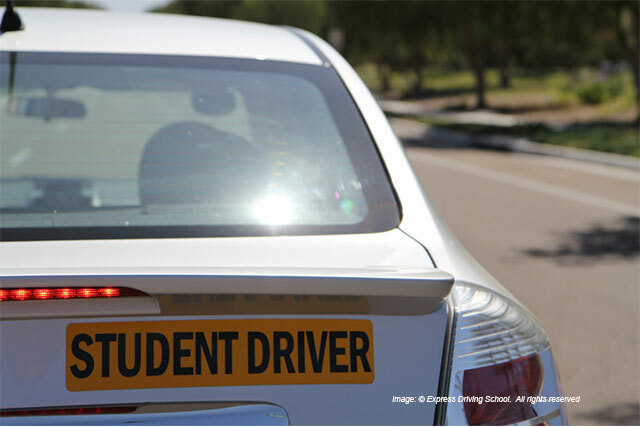 While parents can help a teen learn how to drive, it’s best to leave the early education to a driver training specialist. They need to learn the proper road techniques. Sometimes parents have picked up bad habits, and you don’t want them transferred to someone less experienced at the wheel. Most people forget some of the rules of the road, the longer they drive. A professional driver’s education program will provide private one-on-one lessons behind the wheel. New drivers will be guided in learning how to drive, as well as proper curb park, and how to safely exit a ramp. They’ll also learn the rules of the road, and how to obey them. There’s even a short online course where you can learn the laws of the road, which will prepare you for your learner’s exam. Drivers courses are also available for new drivers to the U.S. Driving in a new country can be intimidating, with different road laws, and driving on the opposite sides of the road. Refresher courses are also available for those who haven’t been behind the wheel in a while, so they can get back to driving again. Support is available for driver’s test appointments. You can learn how to safely pass your California driver’s test with flying colors. Driver’s education is available online for all residents throughout California. Take the fun course, then complete a test examination online. Prepare for your written learner’s permit in advance. Behind the wheel services are available for residents who live in the San Diego county area. Let an expert teach you how to drive, right in person. It’s important that a driving expert teach you the basics of the road, particularly when you’re just starting out. With the amount of traffic on the freeway today, and the varying driving education levels of other driver’s, it’s worth it to take a dedicated driver’s ed course. Learn tactics to pay attention to your surroundings, keeping your car from getting too close to other vehicles. Too many drivers are texting or distracted on the road, so you need to learn how to avoid accidents. Learn what to do when your confronted with busy streets filled with pedestrians, or when another car is driving too slowly ahead of you. When you’re defensively driving behind the wheel, you’re prepared for all contingencies. A lot can happen in a second. You want your teen to come home safely. There’s techniques to learn in order to prevent accidents. A guide to teach beginning drivers, whether teens or adults, in California, will have them on their way to navigating the tricky highways and freeways of California. When they learn to drive the right way, your mind will be at ease when they’re safely on their way home to you.